This is the culture of our schools. 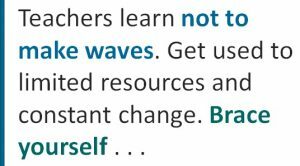 Teachers: learn not to make waves; get used to limited resources and constant change. Brace yourselves for reading a school narrative written by people who haven’t visited a classroom since they were students themselves. Get used to it and be silent. All over th e country legislation is being proposed that will adversely affect educators and students. In Texas, for instance, schools will soon be rated with the A-F grading system. This will cause the most qualified teachers to avoid “F” schools, continuing the cycle of filling the most disadvantaged schools with educators who are still learning their craft. Educators find themselves in states where payroll deductions for membership in professional organizations has been banned. 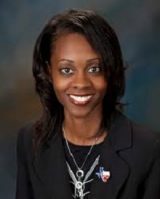 Legislation has been proposed in the U.S. House of Representatives that would divert much needed public education funds to private schools through vouchers. States are shifting standards and districts are adding new initiatives before the ink dries on yesterday’s new initiatives. To put it bluntly, this school year, despite our best efforts, has left teacher leaders weary. ut journals or websites to help them simplify big issues. The fact that educators, who have worked for years under the culture of silence, have recently become engaged has given me renewed hope. Teachers recognize that their training and expertise grants them not only the authority—but the responsibility—to speak out on behalf of their students and the profession. To those not new to leadership, those who stopped following the culture of silence long ago, please know that although we may grow weary in this work at times, our reluctant leaders are watching to see how true leadership is done. Let’s take a deep breath and show them the power of their voices. Invite them to join professional organizations. Let them know what newsletters and blogs you find useful. Remind them to vote for legislators who make public education a priority. 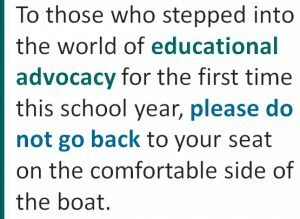 To those who stepped into the world of educational advocacy for the first time this school year, please don’t go back to your seat on the comfortable side of the boat. 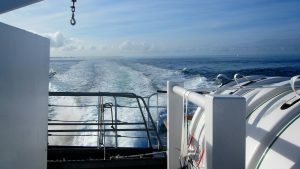 Some of us have to steer. Some of us have to paddle against the current. When necessary, some of us have to stand together and rock the whole boat. To get anywhere this year and in the coming years, we’re going to have to make a few waves.